Benefits of working with the Best Realtor in Carlsbad, CA will take the worry out of the real estate process for you. Working closely with a Top Producing Realtor will let you know that your interest is being protected. 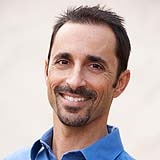 I am David Demangos with Keller Williams Realty in San Diego, CA, and I bring, insight, energy and understanding of the current real estate market conditions and home values in San Diego. In the real estate arena, agents are often very busy and I understand how important it is to always be available regardless if you're looking to purchase a home or selling your San Diego home. The attention and customer service I offer is possible because our team is full of extraordinary talent, experience and true knowledge of our local real estate market. Because we sell more homes each year than the average Realtor sells in 5 years, you can be confident that as the "Best Realtor in Carlsbad" and our commitment to excellence... Remember, "Our Team Goes to Extremes to Fulfill Your Real Estate Dreams." We are committed to excellence and our proactive no-nonsense approach to real estate stands out above the rest. In my beginning the market was taking a down turn and regardless of what I heard, I rolled up my sleeves and jumped right into the local market. Short Sales were on the rise and I completely immersed myself and within my first year as a San Diego, Realtor. We are prepared to handle all your real estate needs, and our experience can assure you that regardless how difficult a transaction can be our willingness and expertise can tackle the toughest challenges to insure that you receive the best possible outcome. Let's do business together, give me a call at 858.232.8410 today! We don't just specialize in selling homes we actually specialize in getting you the best deal when buying and the most money when selling! The first modern skateboard park, Carlsbad Skatepark, was built here in March 1976. It was located on the grounds of Carlsbad Raceway and was designed and built by inventors Jack Graham and John O'Malley. In 1999, Legoland California, the first Legoland theme park outside of Europe was opened in Carlsbad.